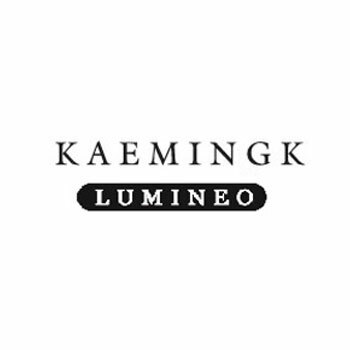 Kaemingk Lumineo Pre-Lit Brown Christmas Tree 6ft Warm White Micro LED high quality outdoor & indoor LED Illuminated tree. 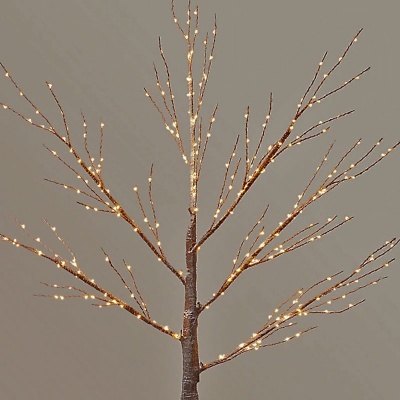 Pre-lit branches incorporating 600 ‘Warm White’ Micro LED lights make this a fantastic centrepiece outside or inside the home. 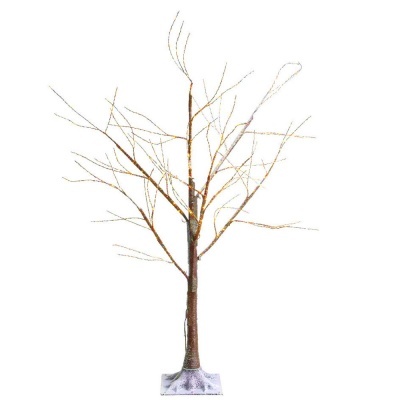 Offers a stunning and stylish alternative to a traditional Christmas tree which will enhance your garden or home with a nature inspired illuminated display. 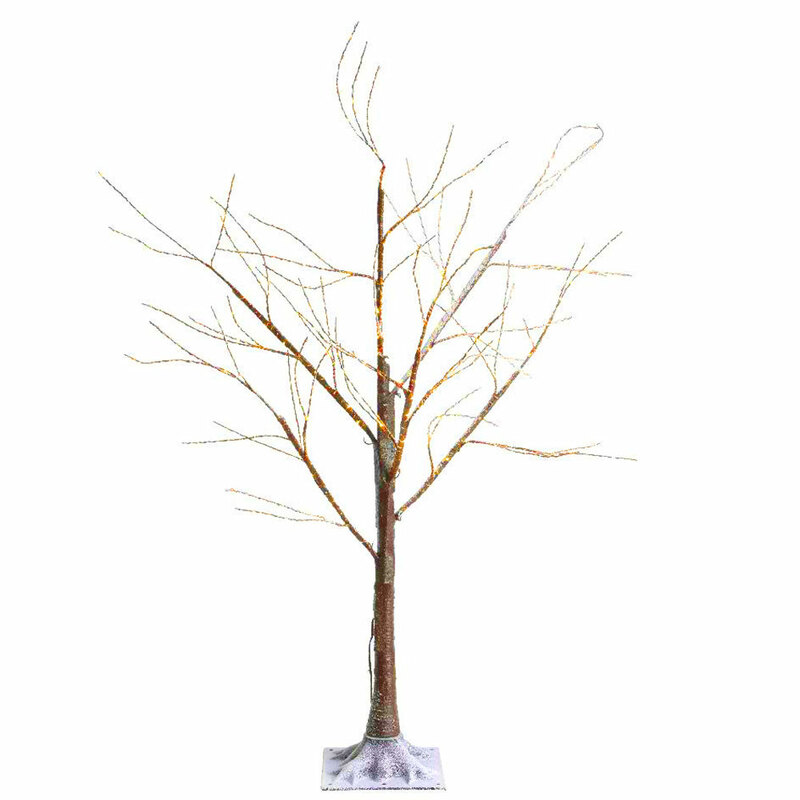 Assembly is straightforward as this delightful tree arrives with a stand and sections that slot together easily, along with hinged paper-wrapped twig like branches that are pre-assembled and simply drop into place. High quality Polyethylene construction suitable for outdoor conditions and can be further secured using the pre-drilled floor plate provided, either with ground pegs or screw-fixed to a stand/decking. Internal placement can easily be achieved using the stable weighted floor plate stand provided, which can also be further secured with screws to a wooden base piece, should this be required.